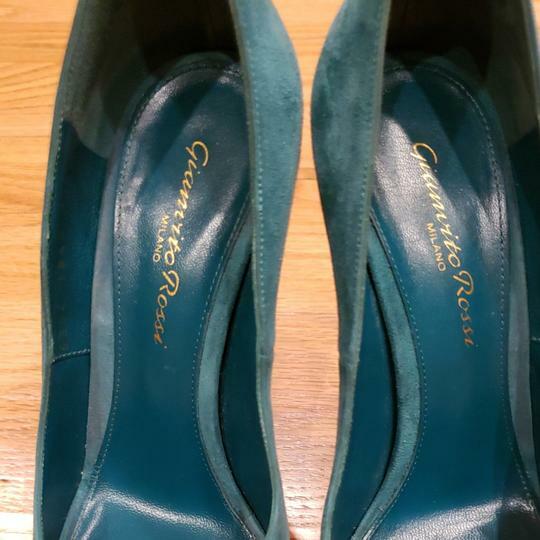 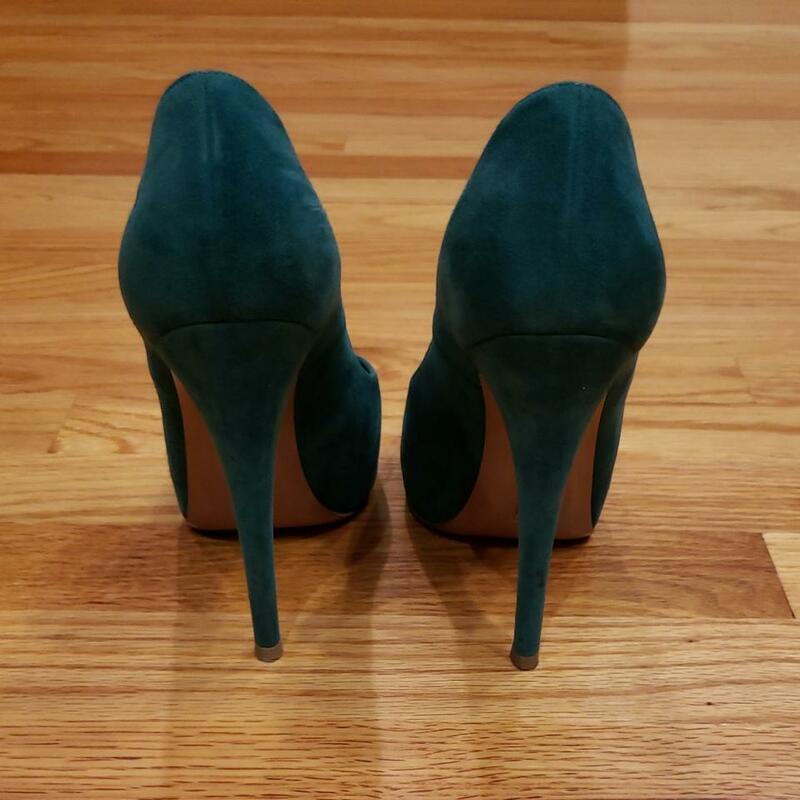 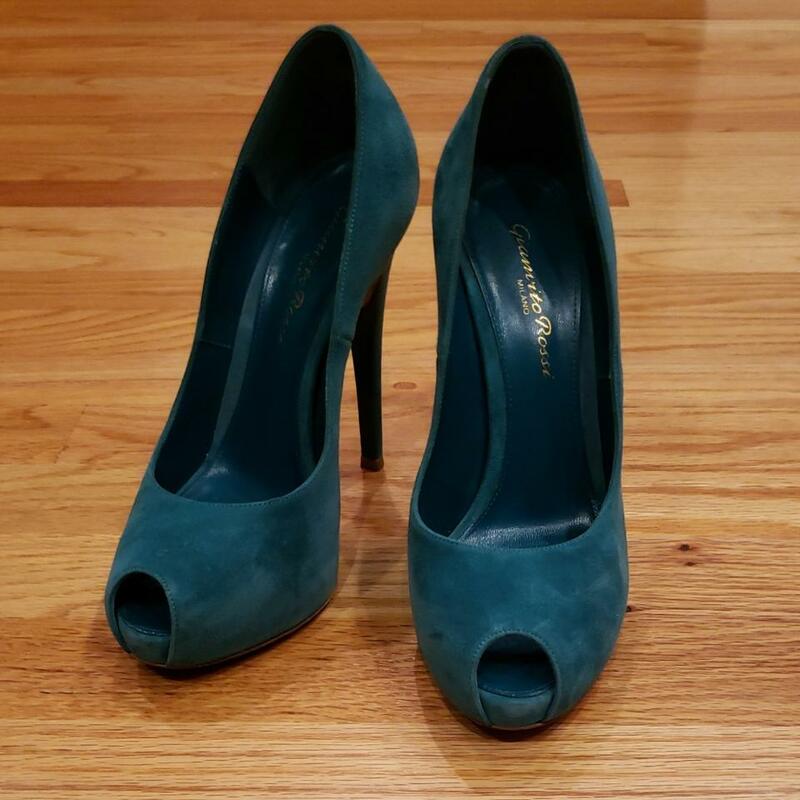 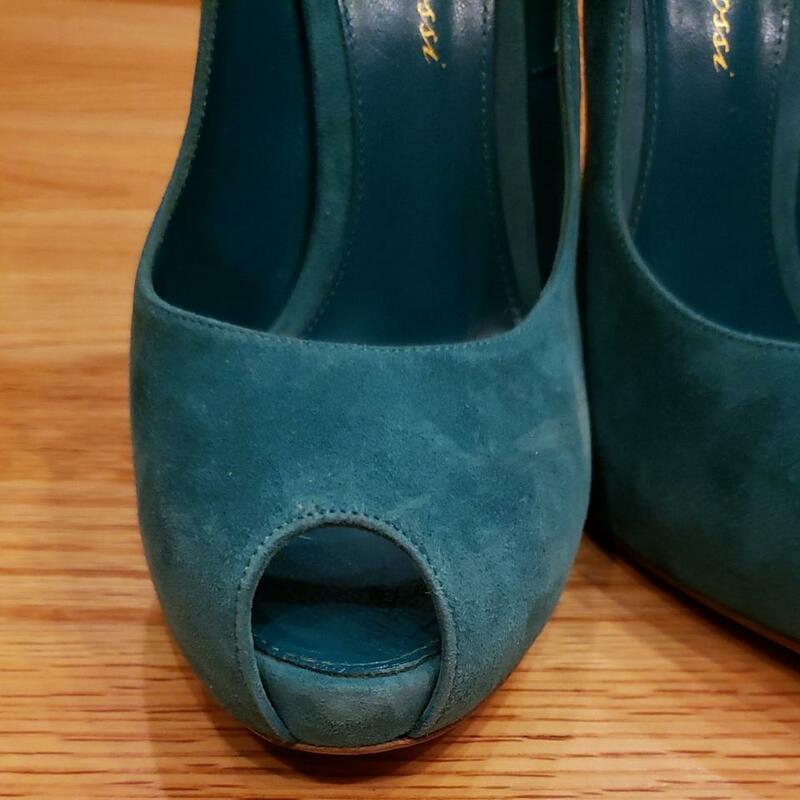 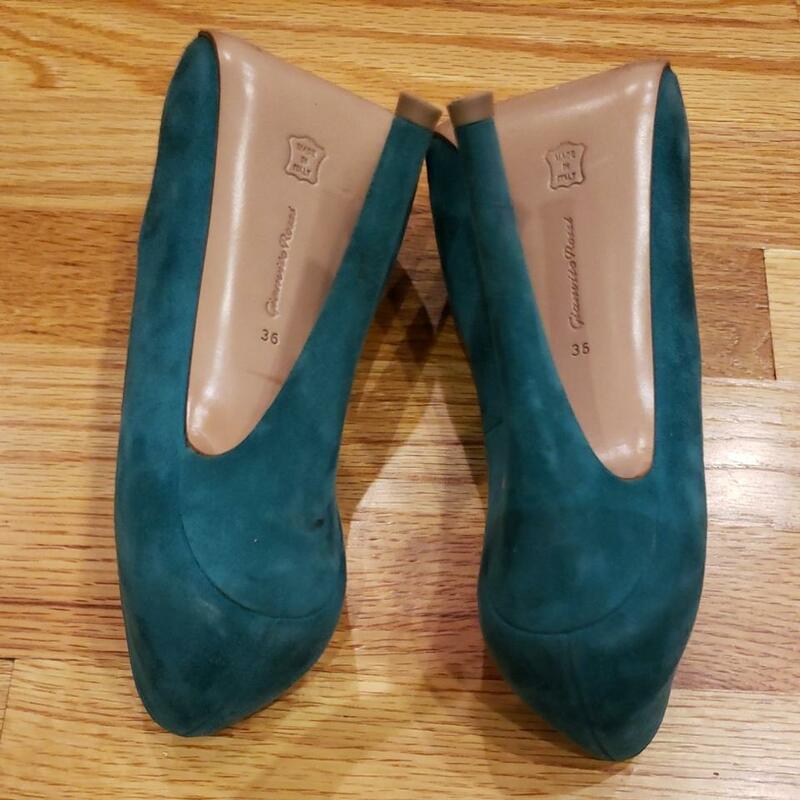 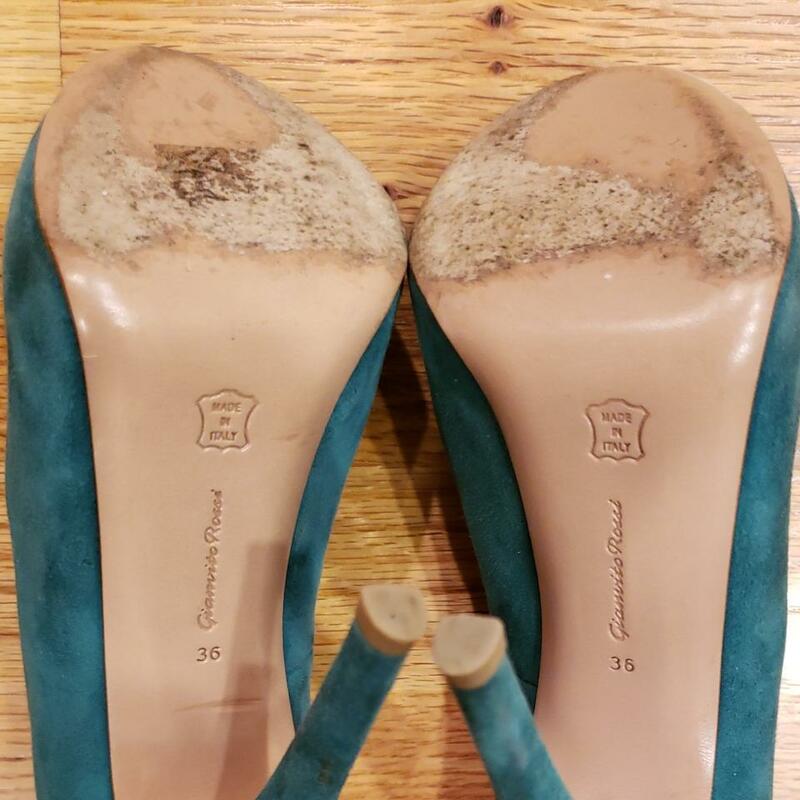 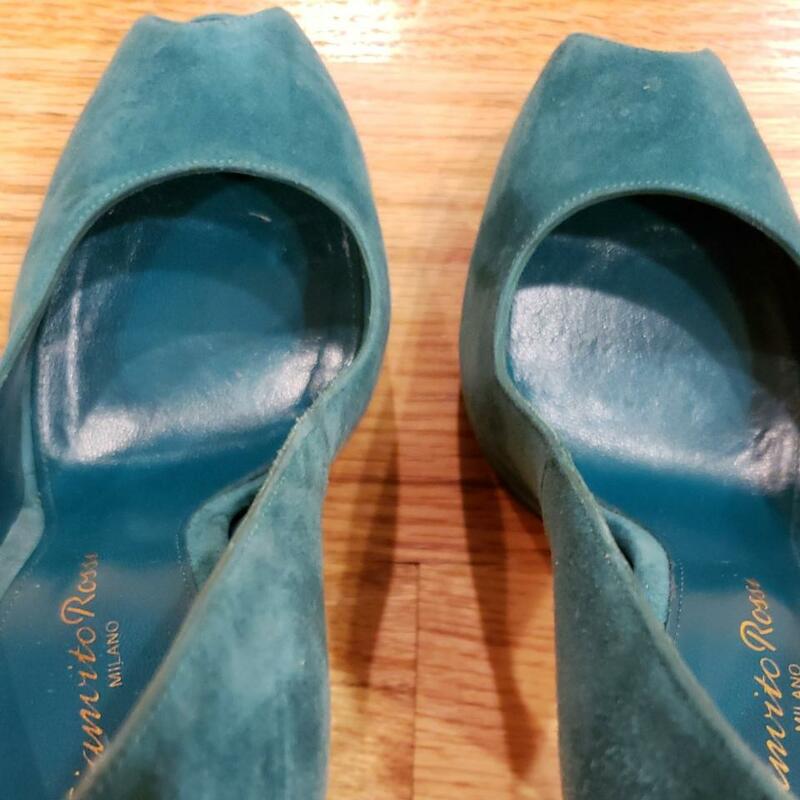 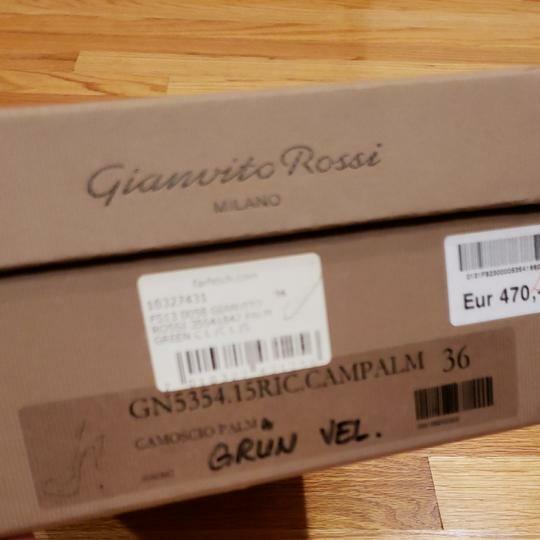 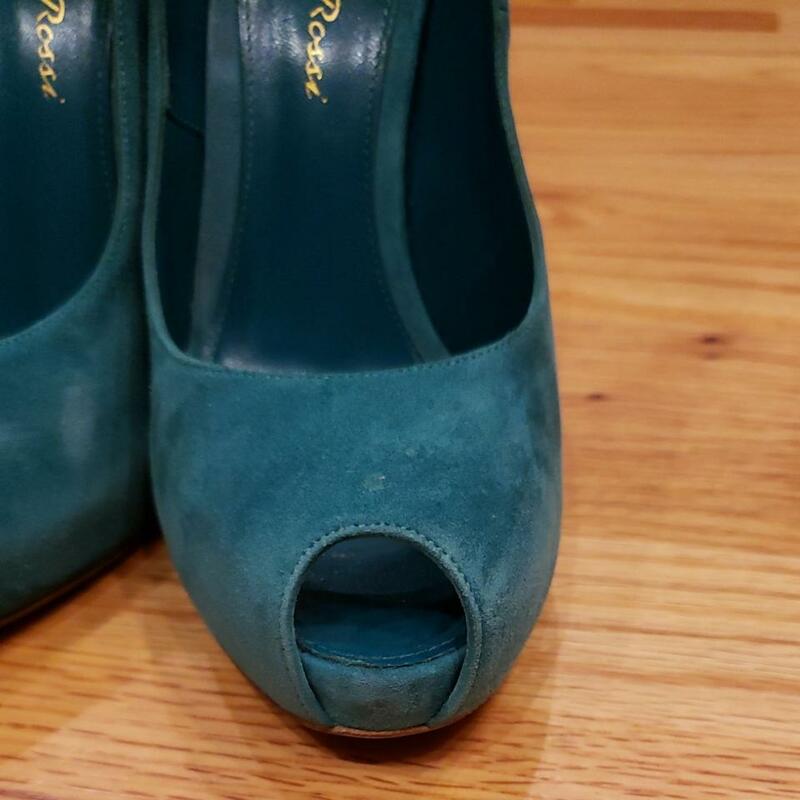 This is a pair of gently used Gianvito Rossi pumps. 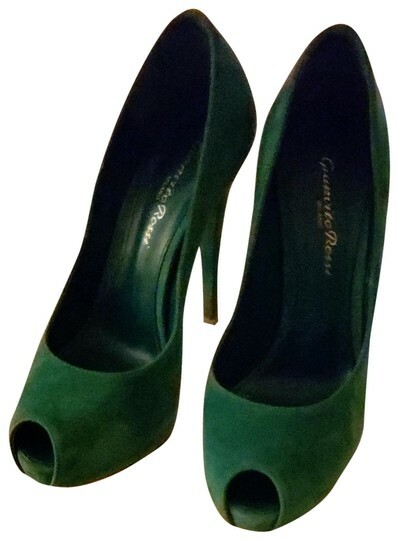 Please note, in real life, this is a true palm green color which I had to take in darker lighting. 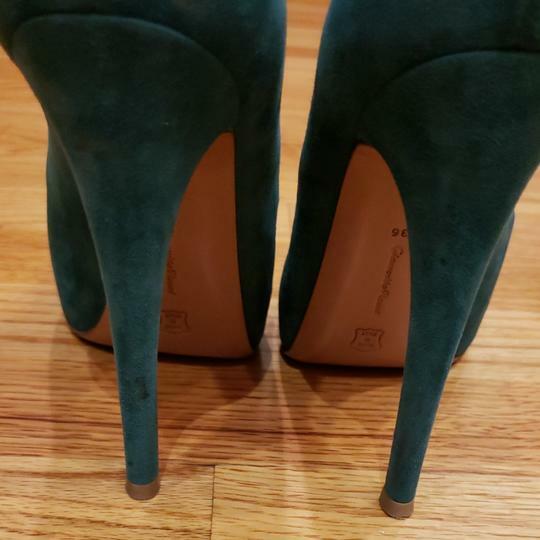 My phone somehow makes it more of a bluish hue (the rest of the pictures) due to the house lighting.